Everyone I meet these days seem to have gotten bitten by the fad to head hit the gym. Now if this is just to keep up with the social lifestyle its one thing. But for the real fitness fanatics, it a ritual unlike any other. A sense of high they get from exercising. To ensure a good workout, the right clothing and shoes play an important role in the fitness regime. A good fitting shoe helps in better coordination and movement. Studies have proved that owning more than one pair of work out shoes is a must, and less prone to injuries. There are plenty of sneakers out there. I had the privilege to try the new gym shoes for women called Grip by Zeven. Zeven is the latest entrant with gym apparel and shoes for both men and women. Grip – Zeven Women’s Gym Shoes has innovative technology. It comes with a knitted upper making it breathe easy and provide a better ventilation. The memory foam insole is super light making it good for prolonged sessions. Good for those at the gym, cross-training or for those love to indulge in aerobics. The outsole has a firm grip and provides better traction. The cushioning around the ankles helps maintain a good rhythm and prevent injury. 3. TPU skeleton provides and better instep support and fit. 4. Lower heel to toe variance, aids in moving quick and provide better coordination. Striking colours of florescent pink and green were a definite eye catcher. The fashion is brighter the better. The memory foam is super soft and the seamless heel felt light weight. It did not wear me down. I went for a long stroll and, it was just so light. I felt I had quicker strides. 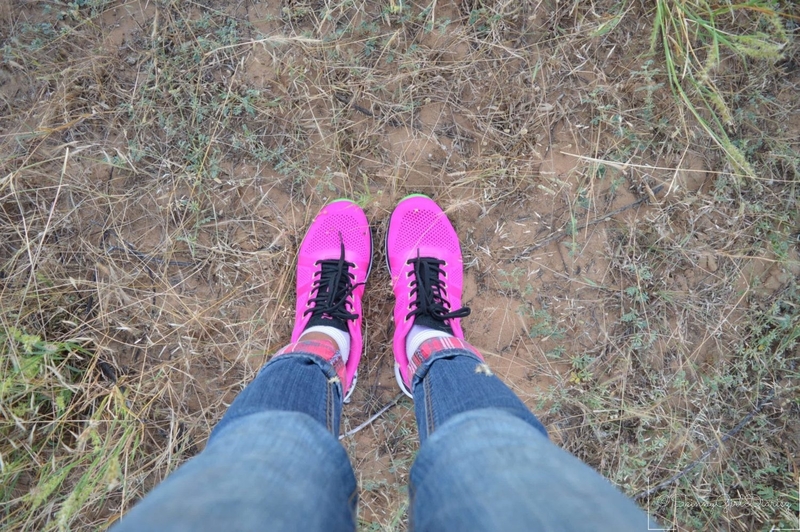 I even wore these on a dessert safari whilst on a trip to Rajasthan, and I have to admit they were very stylish and added a bit of ompph to my trip. The Zeven Chakri stands for the spirit of sport, constantly moving, sharpening and performing. Zeven is the first Indian brand that has designed and manufactured both apparel and footwear for athletes for the Wimbledon. Rohan Bopanna, Ravi Shastri, Mary Kom, Shikhar Dhawan and Mithali Raj are some of the renowned Zeven athletes. Among bollywood favorites they have Lara Dutta. Have you purchased these gym shoes, would love to hear your feedback.